Something a little bit different for everyone here. Head on over to our good friend’s site over at HeadInAVice.com to learn a little bit about what makes my, The Phage’s, mind tick along… That and try and figure out why we’re so obsessed with dessert whilst talking about desert island films. I can’t promise you’ll get an answer to that query, but it’s a hell of a site! 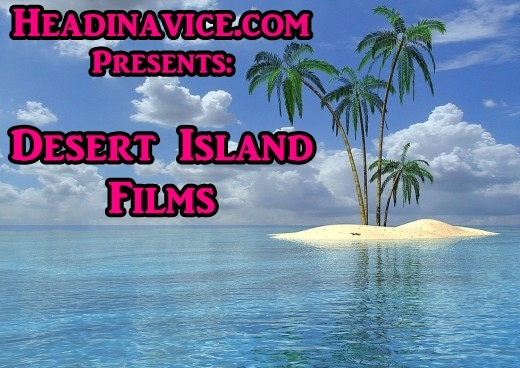 The Phage from Film Phage has kindly submitted his Desert Island Films. Read on for his choices and reasons, and be sure to check out his site. This entry was posted in Opinion and tagged desert island films, HeadInAVice.com, Phage In A Vice, profile, Top films, Tyson Carter. Bookmark the permalink. Cheers dude! Now I’ve just got an urge to do a Dumb & Dumber / BASEketball double header. With cough medicine.